First of all, it is important to realize what an antibiotic is before even thinking of it. An antibiotic is a potent medication that fights bacteria, causing multiple infections. The core rule of successful treatment is proper antibiotic usage. Antibiotics do not fight viral infections, such as bronchitis, flu, cold, etc. Keep in mind that taking antibiotic when you do not need it or using it wrong may harm your general health condition. Besides, it will develop antibiotic resistance that will eliminate the power of the antibiotic taken. Once you have started the treatment course, finish it even if you have noticed significant improvements. With an interrupted course of antibiotics, some bacteria can survive and infect your organism again. See the doctor before the beginning of antibiotics intake, receive a prescription and follow all the given recommendations to benefit from the drug intake. Never pass antibiotics to other patients with similar symptoms without the allowance of your healthcare provider, and do not save them for later. Kill the bacteria (interrupting the processes indispensable for their survival, such as changing glucose into energy). Thus, using one of the ways, antibiotics improve the condition, blocking further spreading of the infection. Penicillin that is a commonly used antibiotic type. It is prescribed to patients with different infections caused by bacteria, including skin, urinary tract, chest, ear, eye, throat and other infections. Fluoroquinolone. Just like Penicillin, this antibiotic can be used to improve a wide range of conditions caused by infection. Tetracycline is an antibiotic type, commonly used to treat severe skin infections, such as rosacea and acne. These conditions feature the appearance of skin reactions: spots, rashes and hives. Aminoglycoside is an antibiotic prescribed only to patients with serious diseases (such as septicaemia) caused by infection. The medication is used in exceptional cases due to a number of severe side effects in cases including kidney problems, hearing loss, vision changes and others. This kind of antibiotics is available in the form of tablet, injection and drops to suit diverse needs. Cephalosporin is also recommended as an effective treatment of numerous infections. However, the drastic effect of the medication determines its usage in severe infection cases, such as meningitis and septicaemia. Macrolide can treat both common infections and specific conditions. The antibiotic is prescribed in cases of chest and lung infections. Besides, it is frequently taken by people with penicillin allergy. Oral. Tablets, capsules, pills and liquid antibiotics are commonly used to treat the main types of moderate infections in the organism caused by bacteria. Injections or infusions. 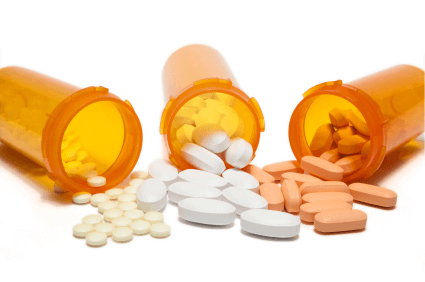 These kinds of medications are prescribed for patients with more severe cases of infection. Topical antibiotics. Lotions, drops, creams and sprays are usually recommended as effective treatments of skin infections. The usage of each category is specified by a healthcare provider individually. Generally, if it is a tablet, you should take it whole without crashing, breaking or chewing, while a liquid antibiotic should be taken in a definite proportion (adjusted by the doctor). It is essential to follow the prescribed schedule of the medication intake. Once you have missed the dose, take it the moment you remember, but skip it if the next one is soon to be taken. Never increase or double the dose of antibiotics in order to avoid overdose. Taking antibiotics properly and following all the given recommendations, you eliminate the risk of any severe side effects. However, the common reactions of the organism to antibiotics include indigestion, bloating, diarrhea, dizziness, feeling and being sick, etc.